The Guardian has asked the unaskable question - why do the Irish hate U2, and particularly frontman Bono? 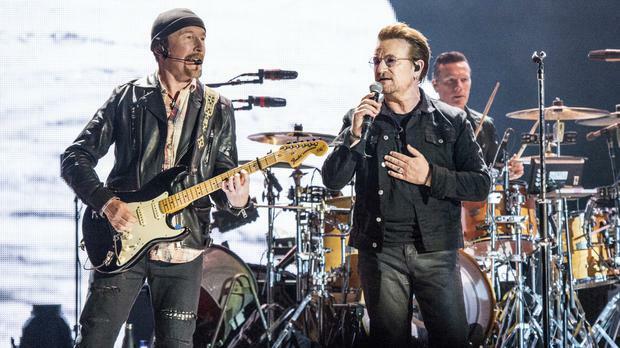 The British newspaper took to 'authentically Irish' Grogans pub on South William Street to gauge the feelings of a few of Bono's fellow Irishmen, and their answers were typically Irish. "I don’t really like him. Maybe it’s because he’s a bit sanctimonious. It might be the glasses as well. He never takes off those glasses," said Karl Downey (24). Conclusion: it's down to Irish begrudgery although the Guardian muses that Liam Neeson, Saoirse Ronan, and Conor McGregor have all escaped a similar fate. So, they delve further and suggest it might have something to do with the band's opposition to Noraid, which funded the IRA during the Troubles, and their close ties to the British establishment. And then there's the small matter of their tax arrangements. The article concludes that our feelings about Bono may have something to do with the fact "there's a hypocrisy to the samaritan who avoids the taxman" and adds, "To others, there’s just something about Bono’s perceived self-righteousness that rubs them up the wrong way".